Finding the perfect T-shirt is always a challenge, but one that needs to be met as it is a great go-to piece for summer. 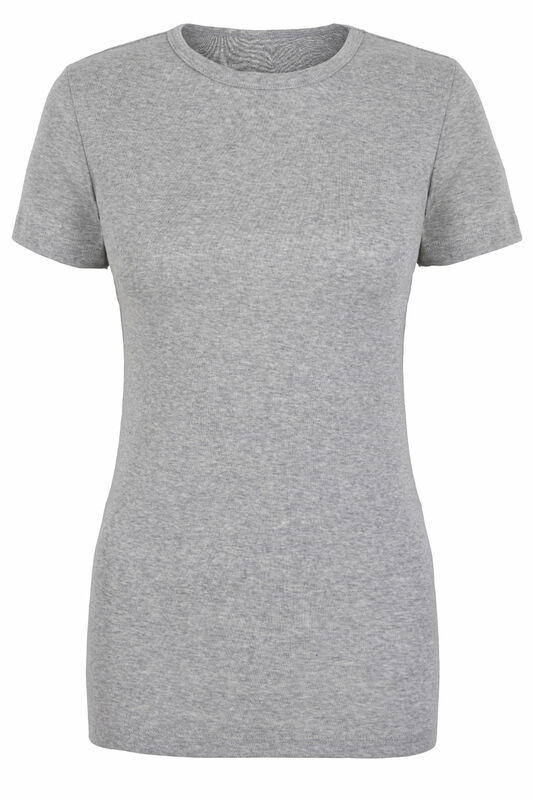 I think a grey T-shirt is the ultimate buy, which everyone should invest in for their SS15 wardrobe. It’s easy to wear with jeans or even a leather pencil skirt for a chic outfit, and it will look great under a sweater on cool summer evenings. It really is the perfect addition to any outfit – It will instantly make a jacket look modern, as opposed to wearing it with a shirt, which creates a more dressy feel. 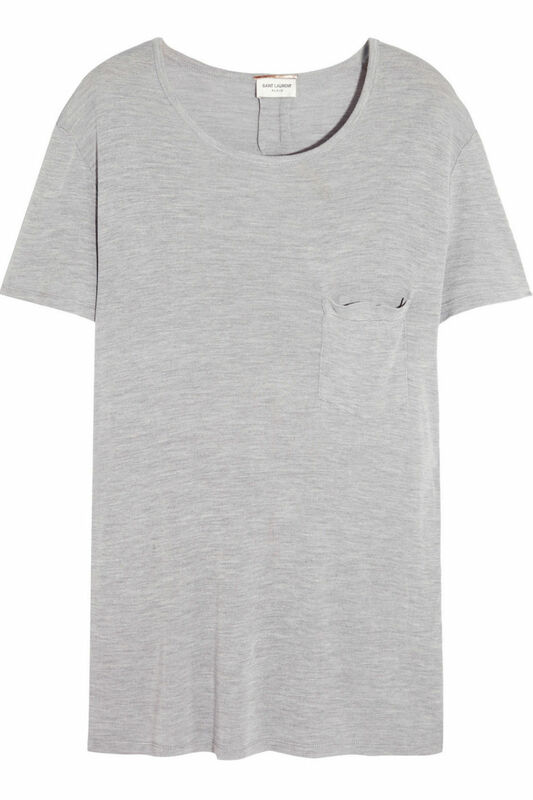 This Saint Laurent T-shirt may have a big price tag, but if it is in your budget it is well worth the investment. The fabric is great and it hangs well and hits your body in just the right place. If you want to splash out, this is the one for you. Frame Denim is a great brand that has a lovely selection of denim and also casual wear. This T-shirt is particulary great and I love the neckline. Perfect with a casual jacket for a cool day look. 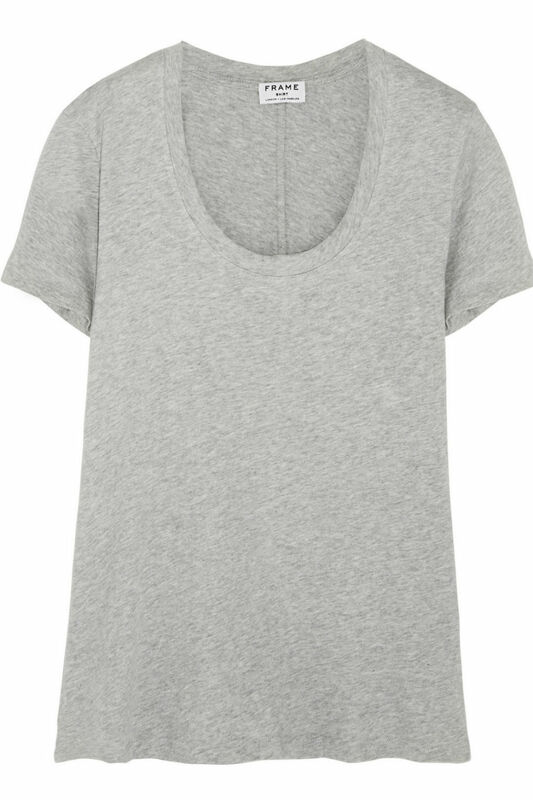 Thank goodness for Gap – it has a great selection of T-shirts with shapes to fit all sizes and any occasion.